Spring is finally here! And there’s no time like springtime to get out for a walk! If you’ve been driving the kids to school, toss aside your keys, and have the family lace up their sneakers and head out the door for a walk to school. An increasing amount of literature shows walking and biking to school is great for children’s health and for the safety of the community. Plus it’s fun! Some parents are aware of the benefits and would like to see their children walk and bike to school, but are concerned about the safety of their child’s route to school. If you wonder what is being done to make streets safer for children, check out the NJ Safe Routes to School program and whether your community is part of it. 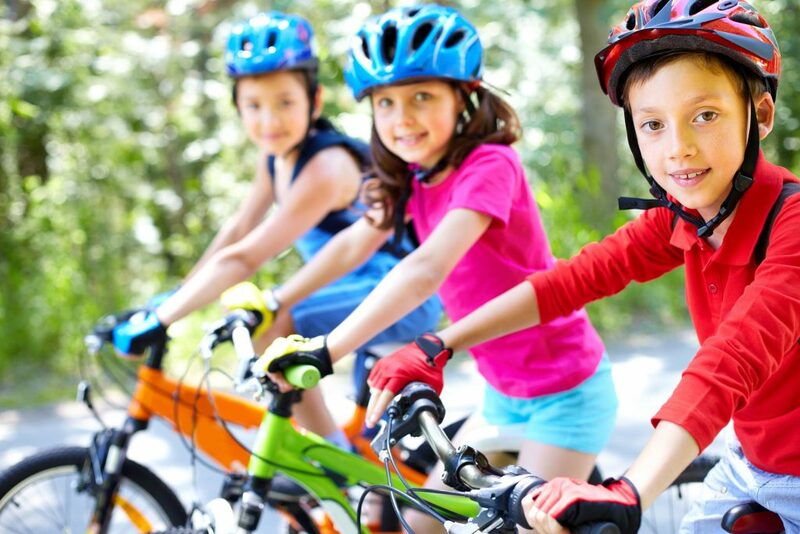 NJ Safe Routes to School is a statewide initiative that aims to encourage students to walk and bike to school safely. The SRTS partnership is also leading Visio Zero for Youth, an effort that seeks to extend the Safe Routes to School benefits to more school. The idea behind this program is to create safe places for everyone to be active and that a good place to start is near schools. Communities across the country and around the world have embraced this. For example, Fair Haven, NJ is doing that by closing a street that connects two schools during arrival and dismissal which allows children to walk and bike safely to and from school. Another example, Hood River, OR, where the mayor is actively involved in Walk and Bike to School Day events and where the addition of crosswalks, eliminating dangerous turns at intersections, and installing bike lanes contributed to safer biking and walking to school. And Mexico City engaged the whole community, including schools, parents, students, and teachers to make walking and biking to school safer. GMTMA is the SRTS regional Coordinator, and we have assisted and recognized many schools and municipalities in Mercer and Ocean County for taking steps to make walking and biking to school safer. East Windsor Township School, Lawrence Township Municipality, Lawrence Intermediate School, Slackwood Elementary School, Princeton Municipality, Riverside Elementary School, Community Park Elementary, Trenton Municipality, Martin Luther King Elementary, Paul Robeson elementary, West Windsor Municipality, Hopewell Elementary, Brick Township, Point Pleasant Borough, Ocean Road Elementary, Point Pleasant Beach have received awards in the last few years, and many others starting their first steps. However, there is a lot more we can do, and Vision Zero for Youth seems like a great continuation of all the excellent work that has been done so far in Mercer and Ocean County. NJ SRTS offer assistance to public officials, transportation and health professionals, and the public to create safe and accessible walking and biking environment. GMTMA is an SRTS Regional Coordinator and can offer assistance and consultation to kick off a Safe Routes to School project in your community, at no cost. Let us know if you want to learn more.